Karpos Open Chess Tournament took place in Skopje, Macedonia, 29 March - 5 April 2014. 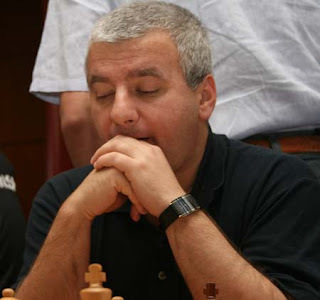 The winner, for the forth time in a row, is GM Kiril Georgiev (Bulgaria) with 7.5/9 points. GM Alexander DELCHEV who commented Candidates games for ChessBomb took part in Karpos Open, and he is at 30th place with 6/9 points.